We prefer online advance bookings at least 1 to 2 days ahead. Last minute orders minimum 2 hours ahead. Track record of hundreds of corporate clients - Govt agencies, Hotels & even Fortune 100 MNCs! Disclaimer Mega Cab is not a regular metered taxi. It is in fact a minibus for charter. 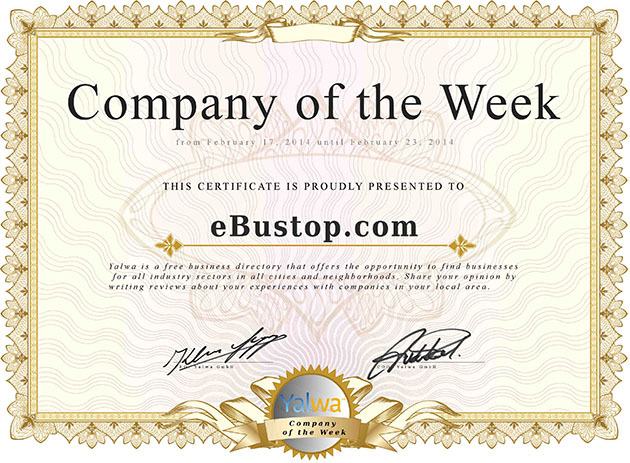 eBustop will not be responsible for any loss incurred while using any affiliated transporters or this website. Use at your own risk. Terms & Conditions eBustop shall be exempted from any liability for loss, injury or damage to property or person, accidents, traffic congestion, vehicle breakdown, obstruction of any public/private road, highway, delays, irregularities or other occurrences beyond its control. Purchase of insurance is strongly recommended with respect to areas such as trip cancellation, personal baggage, personal accident, injury & illness. Under no circumstances is eBustop to be construed as a carrier under contract for safe carriage of passenger or his/her baggage & belonging.